We fear that with nine million deaths a year, we are pushing the envelope on the amount of pollution the Earth can carry. Landrigan said the scale of deaths from pollution had surprised the researchers and that two other “real shockers” stood out. 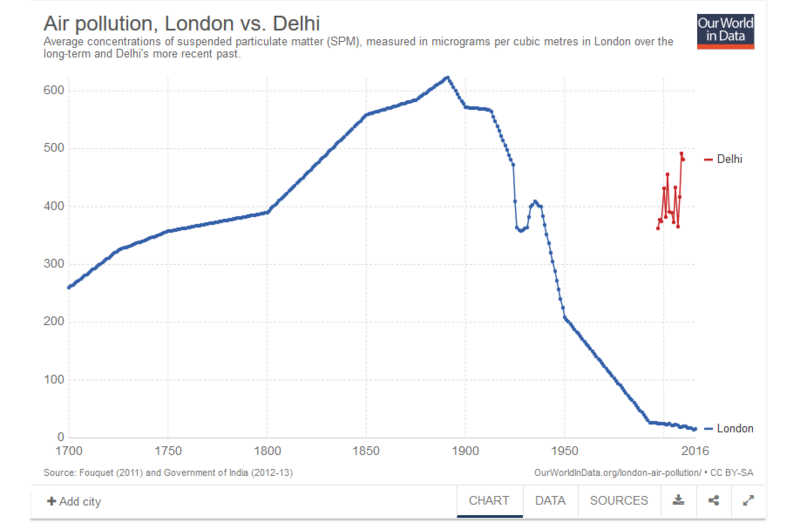 First was how quickly modern pollution deaths were rising, while “traditional” pollution deaths – from contaminated water and wood cooking fires – were falling as development work bears fruit. So the report appears to conclude that things are getting worse and this is true even in the developed world where "modern" sources of pollution are rising. So, now we know where at least one of the popular media statistics on air pollution comes from — is it true that there is a ‘crisis’ in air pollution in the UK? Fine particulates and nitrogen oxides have been falling steadily for decades, and are about a quarter of what they were in 1970. 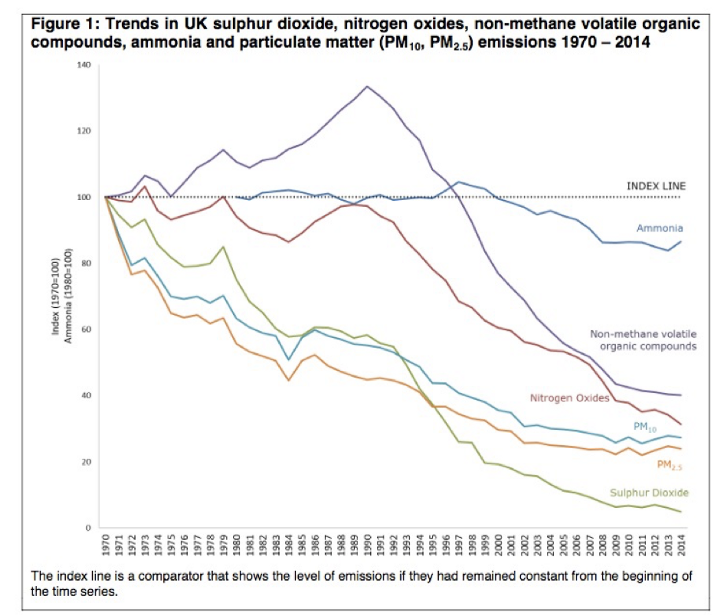 So the ‘crisis’ in the UK is not because pollution is getting worse, but because there is more known about the potential harms, particularly from nitrogen oxides. But the UK is not representative of the rest of the world: many rapidly growing cities have experienced dramatically rising pollution levels. So we have newspaper headlines and some experts claiming we are approaching a crisis and another expert claiming things are getting better but they look worse because our knowledge is getting better. So the question arises: are we facing a growing crisis (especially in the developed world)? 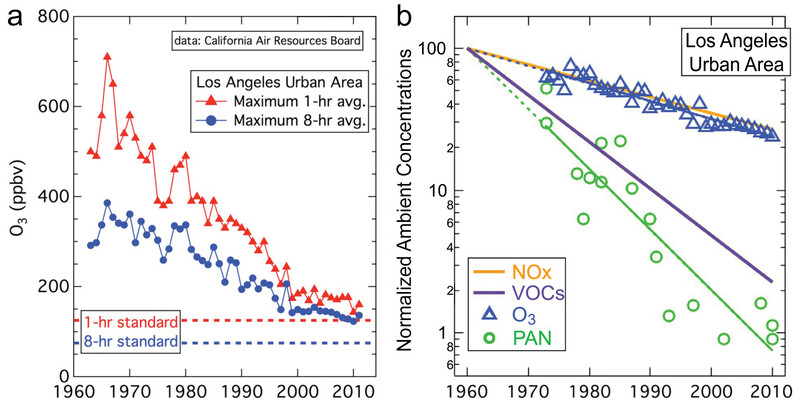 Or, since "crisis" is ill defined, are the major sources of pollution in developed world cities getting worse or better? There is heavy pollution in some cities in the developing world. Delhi and Beijing are famous examples, but there are many more, and more people are affected than ever before because of population growth and urbanisation. Not the answer you're looking for? Browse other questions tagged environmental-health environment pollution . How dangerous are rare earth processing by-products? Is there plastic microfiber in 83% of tap water?